Oral care is an essential, but often neglected, aspect of overall health and wellbeing. Smile in Style focuses of preventive care at our Sunbury and Moonee Ponds dental offices. With a combination of good habits at home, and regular dental care, you can enjoy a lifetime of healthy smiles. Your brushing and flossing techniques are just as important as frequency. 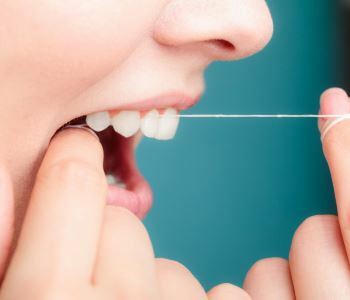 Don’t skip flossing or you will only be cleaning two-thirds of the tooth surface. It should take about two minutes or longer to brush thoroughly. Take care to clean under and around dental bridges, braces, and other appliances. If you’ve consumed something acidic, rinse with water promptly, but wait about an hour before brushing. Acid softens enamel and it needs time to harden in order to avoid damage. Like the rest of the body, your mouth relies on good nutrition to maintain proper health. Antioxidants boost your immune system, helping your body fight off oral and other disease. Calcium rich foods help maintain strong tooth enamel. Polyphenols, which are found in both green and black tea, have been found to inhibit bacterial growth. Crunchy raw veggies help keep teeth clean by scraping plaque and debris from the surface as you chew. Water is essential for rinsing teeth and keeping hydrated is important to a healthy body. Visiting your dentist regularly is vital to maintaining good oral health. Professional cleaning removes plaque and tartar that is missed by your toothbrush. Early diagnosis of oral disease facilitates efficient, effective treatment and prevents the loss of teeth. We offer guidance and advice to help optimise your home care routine.